I wanted to give a quick update as to our plans for the Kassai clinic and World Cup competition scheduled at the Vogt Ranch in Hamilton, Montana. At this time all of the riding spots on our school horses are full. We are still taking a few more sign ups for folks that are able to bring their own horses. We also have a few spots for the ground archery portion as well. 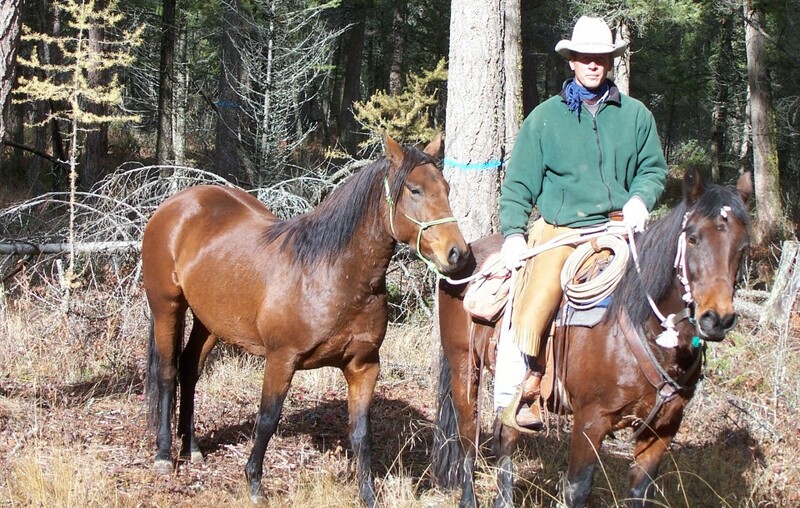 Kelner Horsemanship is sponsoring a horseback archery clinic at the Vogt Ranch in Hamilton, Montana featuring Lajos Kassai of the Kassai School of Horseback Archery http://www.horsebackarchery.com . August 16-17 will be full day training for both ground archery and horseback archery. August 18 will be a practice competition and August 19 will be a Kassai World Cup Competition. Primitive camping is available, no electrical/sewage hookups. Limited spots available, sign up asap. Must be an active rider in order to participate in the competition. All are welcome to participate in the ground archery portion of the training which will be Thursday and Friday, must provide your own archery horse archery equipment. Meals will be available through an independent caterer or a variety of local restaurants. I will be in contact with registered participants to arrange in May, we are still working on this item. Going slow is the quickest way to get there. A cause for celebration. Our first ride. I got this OTTB late last July as a project. She came to me from a California rescue with a bit of a reputation. She was difficult to handle, didn’t load well and was aggressive with human handlers. No starts but she had been ridden a few times. Shortly after I got her I started with some ground work and quickly realized she needed some chiropractic work. Once we got that sorted out she developed a really bad case of hives that turned out to be allergies, to our flies and our feed. The hives were so bad that saddling was not an option. By the time we began the serum treatment winter had set in so she got to just chill in an old time Montana winter. I put her at a local arena a couple of weeks ago to get rolling. After much ground work and getting used to the business of an indoor arena, we had our first ride. She had a tendency to get quite defensive very quickly, such as squealing, threatening to kick and pinning her ears. Being a rather large 17 hand TB, this can be quite intimidating. I handled this by staying in close to her (safely) and rubbing/petting her until she would relax. Another reaction she had was to back up, so getting the forward going also helped. This mare has a ways to go, but she has made great strides. Once through this initial training, she has great potential and I am looking forward to seeing her fulfill this potential. In a recent post I talked about getting it on the ground. The ‘it’ can be many things, such as moving forward, softness, backing and lateral movement. Now I want to talk about a few more specifics. The photo above is of Newton, a 6 year old OTTB who has struggled turning right correctly. I am asking him to bend clear through his body. I want him to step under with his inside hind foot and to turn his head at the poll or as I like to say, look around the corner. He is also lowering his head and is stretching through his back. This gymnastic exercise is done both directions and is interspersed with other exercises moving both hind and fore quarters independently. Done before the rider gets on, the horse gets both a physical and mental warm-up. Both horse and rider get an idea of how it should look and feel from the ground where it is easier to achieve clarity. This will translate directly into the saddle. On the ground the horse is unencumbered by the weight of the rider and has only his own body to work with. The rider can see what the correct posture and movement looks like and can use this visualization while riding. This is an ongoing process that takes time and some days are going to be better than others. Patience and persistence are necessary as well as getting it correct before moving on. I just wanted to let all of my local readers know about an upcoming clinic here in the Flathead Valley on April 8th and 9th. Saturday (8th) will be a group session running from noon to 4 PM. Sunday (9th) will be open for individual sessions to be scheduled. Thank you to Glacier View Arena for the opportunity to make this happen. See the attached flier for more information and as always, please email me if you have any questions or would like a spot in the clinic. Groundwork is one of those terms you hear a lot in conversations among horse people. But what does it mean exactly? I think it’s fair to say that judging from the wide variety of what you see people doing with their horses on the ground, it means different things to different people. I see people running their horse around and around on a lunge line and call it groundwork. If the horse is not tuned into the human this can be a rather ugly exercise, counter bent, bucking and generally ignoring the person. Just because you are working with a horse on the ground does not make it effective groundwork. To be effective your horse should be tuned into you and displaying relaxed body language such as head low, soft eye and relaxed in the body. There is not a cookbook recipe for what constitutes effective groundwork. What I do with one horse will vary from day to day as it depends on the horse and his attitude. I always have an overarching theme or goal but that is flexible as I try to work with the horse from where he is mentally rather than from where I think he should be. I check in with him/her to try to determine what they need. As with any interaction with a horse, I try to leave them feeling better at the end than when we started. Many horse owners tell me how they hate doing groundwork, that they just want to get on and ride. Some of those folks also readily admit they don’t know what to do or how to do it. Some tell me they don’t see the point in it. Obviously I am a proponent of groundwork with your horse, every time before the ride. The caveat here is that as with everything, you have to do it correctly in order to reap maximum benefit. This happens to be one of the main areas covered in my horsemanship clinics. Some specifics about my intent with groundwork. When I work with a horse that is new to me, I start small and reward big. I might ask them forward around me and then stop all pressure when they try. I might ask them to move away from pressure and when they offer even the smallest attempt, I let off. We build from there. As they begin to understand what I am asking, I define their success into a smaller range of efforts on their part, eventually settling in on the exact response I am after. This begins the process of teaching the horse that when I ask for something in a certain way, I am offering them an opportunity to respond in a certain way. This is the start of the relationship building and communication. When a horse is offered clarity, they will hunt the right answer every time. It’s my job to present what I am asking in such a way so as to make the horse successful in finding the right response. More than anything, this engages their mind and helps align their thought with mine. This also has the added benefit of warming them up, stretching and mentally preparing them to accept the rider. This all translates to the saddle, I’ll explain more later. A common sight around any horse property, ranch or show barn is that of horses standing tied while the rider grooms, saddles, bridles and generally preps the horse for a ride or work. The horses are usually quiet, bored and almost sleepy. Head hung low, hind foot cocked and a quiet tail are all indicators that the horse has accepted this pre-ride ritual. Another common sight that I have witnessed all too often is that of the nervous, fidgeting horse. The one with head high, eyes wide and feet that won’t stop moving. Even worse is the horse that is rearing, whinnying loudly and dangerously disregarding the human trying to prep them for a session. The latter can often lead to a horse flipping over, especially in cross ties. How is it some horses are tied quietly, yet others don’t seem able to handle this simplest of procedure? Are some horses naturally more calm? Yes. Are some hoA rses more prone to hyperactivity? Yes. You can however have an impact on your horse’s behavior. The bottom line is that we have a responsibility to keep them safe. Recognizing your horse’s discomfort with being tied is the first order of business. Head high, being verbal and feet that won’t stop are the big indicators. When I see this behavior from a horse in cross ties, I get them out of the cross ties and deal with the issue. Leaving them there unsupported will only worsen the anxiety. Knowing that a horse is a flight prey animal, allowing them the opportunity to move their feet will help mitigate at least some of the anxiety. I let them move their feet. I control the direction and make suggestions about the speed, but I do not insist that they stop. Insisting they stay tied, slapping them on the shoulder and yelling at them to “stand still” does not work, yet this is a common go to method. One thing I do have to mention is that this issue is best dealt with early on. At the show is not the time to address problems, get them taken care of at home in your daily training routine. I typically won’t tie a horse hard and fast until they learn to ground tie and cross ties come in later after they are comfortable with the whole process. Don’t be afraid to take a step back in the training if your horse exhibits any anxiety. If you allow it to continue, it builds and festers and will eventually erupt. With a bit of effort, specificity and patience, you can make a difference for your horse and get a change. You can be the horse person with the quiet, easy going horse. If you would like more information or training help for you and your horse, contact me. I know, it’s been a bit over two years since my last blog post. Every time I thought that I would sit down at the computer and jot down a quick post, I’d get distracted or extremely busy. To be fair, the last two years have been a whirlwind of activity. I have done a fair bit of training for the public and this has kept me busy. We also sold our house and property in order to purchase another property. We tripled our acreage in the deal and now have access to much needed space. In addition to more acreage, this property is adjacent to a vast amount of trails and public land. Tripling the acreage also tripled the work load as the new property was in disrepair. The summer of 2016 included a lot of cleaning this place up and tearing down old dilapidated buildings. I got real familiar with the county landfill. It is a work in progress. It has been a real winter here and I know folks are getting anxious for spring. I am going to be putting on a few horsemanship clinics this spring and summer. I don’t have all the details as of yet but if you are interested in attending or booking a clinic, let me know. I have many topics that I will be addressing shortly, check back and thanks for reading. Why does my horse buck? I wish I had a dime for every time I heard someone say ‘I don’t know what happened, he/she just blew up out of nowhere’. Now, I am not talking about a horse slipping out from underneath you, or a crow hop. I am talking about the head disappears between their knees commitment to getting rid of what is on their back, kind of buck. So why does a horse buck? I guess it depends on the horse, the rider, the situation and surroundings. I don’t have all the answers but in my experience I have seen horses buck due to a handful of reasons. This usually includes pain, fear (self-preservation), surprise, frustration, neurological issues and bug stings. Many of these causes and situations we can manage and hopefully avoid or shut down the buck. Pain is one of the prime causes and one of the first ones I try to remove. Saddle fit can be a major cause of pain that would cause a bucking reaction. A lot of behavior problems that I have seen have linked back to a poor fitting saddle. Other pain issues could include the hock and/or pelvis. Has the horse had a fall or fight with a paddock mate? The physical needs to be ruled out first, is the bucking secondary to another issue. I have successfully utilized equine chiropractic practitioners to help with these problems. Fear or self-preservation is another cause for the buck to occur. Think of the cougar latched on to the back of a mustang and how he would best get rid of it? With an NFR worthy bucking performance. We as riders don’t want to be the cougar. With a young horse, proper exposure to a variety of situations and environments will go a long way toward staying this side of a wreck. This is especially true for training a horse for disciplines such as horseback archery, in which both over and under exposure are very detrimental. the same holds true for the surprised horse. If you teach a horse that he can move his feet when his self-preservation is threatened, he won’t be so apt to do so when he gets scared or surprised. BUT, you have to be there to support him. Allowing/encouraging the horse to move their feet also helps with the frustration factor as to why a horse bucks. Supposing your horse doesn’t want to go away from the barn, but you persist. He wants to turn back, but you allow him to move his feet (circle) and praise/pet him when headed in the correct direction. At no time do you hold him in one direction and insist on forward. This is a recipe for a potential buck. Neurological issues are fortunately very few. In one case that I recall, the horse had a tumor behind his eye putting pressure on the brain. I have known of a few horses that were just plum ‘loco’, either due to ‘bad breeding’, genetics or severe trauma of some kind (in some cases, abuse/neglect) Unfortunately these are hard, if not impossible to resolve with training and require qualified veterinarian consultation. Bug bites, mainly bee/hornet stings have accounted for unplanned dismounts of the emergency variety. Hopefully you have a good enough handle on your horse that you can shut it down in time (a correct hind-quarter release). Back when my wife had a TB gelding , we were on a trail ride and ran into swarming mosquitoes. It got pretty western, pretty quickly. Once we figured out that he was agitated by dozens of bugs chewing on him (right through the bug spray we had doused him with) we got his feet moving and the bucking and agitation ceased. Keep in mind it is difficult but not impossible for a horse to buck while running forward. Fortunately, in this case, the horse wasn’t coordinated enough to trot along and buck at the same time. There is also one other reason that I have run across for a buck to occur and that is the playful, ‘I feel good’ type of exuberant buck. These happen quite frequently in the Spring. As long as the rider can ride it and it doesn’t escalate, I think it’s an okay thing for the horse to express himself. Training and building a relationship with your horse will allow you to know the difference between playfulness and distress. Develop a feel for your horse and be present mentally when you are riding him. Adding variety to your horse activities can keep a horse mentally fresh and looking forward to being around you. Mixing up the routine will help to prevent a horse from getting sour, frustrated, and developing undesirable behaviors. At no time in my years around horses have I ever seen a horse buck to ‘get out of work’ or because ‘they are just being lazy’. The trainer/rider gets mentally stuck and struggles to better understand the behavior that is causing the bucking or refusal from the horse. Bucking can be a form of refusal. If your horse refuses, you have either asked the wrong question or asked the question wrong. Here in Northwest Montana, we have settled into our typical winter routines. Short, bleak days with less than ideal footing. Morning and evening chores are done in the dark and about the only time you get to see your horses in the daylight is on weekends. What’s a horse person to do? Unless you have access to an indoor arena, quality horse time can be somewhat limited. But there are options. Don’t let those limits stop you from working with your horse. Now is the time to get out there and ‘do nothing’ with your horse. Let me clarify, every interaction with your horse is doing something. It may feel like or look like you are doing nothing with your horse, but it all has meaning. Many times people get stuck in the notion that they have to be doing arena work, jumping fences or chasing cows, etc. …but it’s taking small bits and pieces and working on improving them which make the big stuff better. Feeding time- You always have to be careful and mindful during feeding times, some horses get quite excited about their groceries, but this is an excellent opportunity to strengthen the relationship with your horse. Ask that your horse maintain a safe, respectful distance from the feed pile you just placed on the ground. This can be done with a flag, waving your hands in the air or slapping your hands together to keep them back. Once they present an ears up attentive look, allow them to approach and eat. You can then remain standing by the pile for a few minutes and pet or scratch them. This is a great bonding time and it also provides you the opportunity to give your horse the once over to check for cuts, scrapes, swelling or any other possible issues that are hard to see this time of year due to the lack of day light. This is how I noticed a nasty skin fungus on one of my geldings last winter. He packs on an extremely heavy coat and unless I check him closely, some issues go undetected. It’s easy for things to go undetected if I don’t take the time to check him over regularly beyond a glance that he is on all four feet in the pasture. Hind quarter and front quarter Releases- Halter your horse up and work them through some releases on the ground. Hind and fore quarter releases are always better in the saddle when we polish them and create increased sensitivity from the ground. Work on leading them around. Work on hand trotting alongside of you. Do you have to pull them with the lead rope, or will they come with you on a loose lead? Do they try to get ahead of you? Working on the hind and front releases also goes along ways to teaching them to use their hind quarters better, for things such as rollbacks or canter departs. If you can get it going on the ground, it will be better in the saddle. Hot Spots- It is surprising to me how many times I work with a horse that is supposedly dead quiet and described as “been there, done that”. Most horses have hot spots or in other words, areas that bother them to have you touch or have anything close to. An example is having his /her ears touched, or maybe your horse is head shy. Can you work your horse around a tarp or walk him /her over a tarp? What about their feet being handled? Is your horse well behaved for the farrier? What about their tail? Can you lift their tail with no tension? When you’re working around your horse, think about how he reacts to things and then find a way to work on making these things less of a trouble spot for him. It will build your relationship and trust with your horse if he can learn that he doesn’t have to be afraid or worried about something. Be careful and mindful of the footing, but beyond that you are limited only by your imagination. Stay safe and warm and have fun with your horse. He’s probably just as bored with the weather and lack of activity as you are!